Earls Court, the world-renowned art deco building of the London Motor Show from the middle of the last century, has been recreated on the Goodwood site to feature the Earls Court Motorshow. 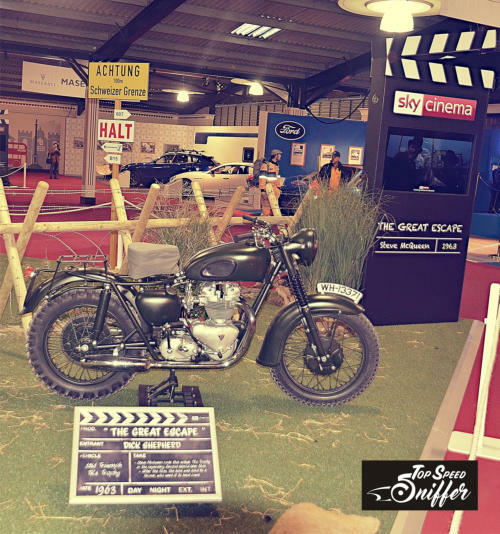 This years central area was presented by „Sky Cinema“ and what could be more adequate, as an exhibition of a bunch of movie related cars – not any cars, but cars and bikes used by the Mr. King of Cool himself, Steve McQueen. 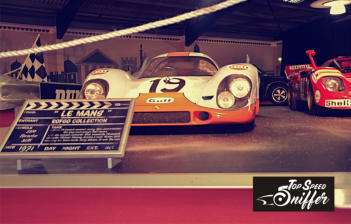 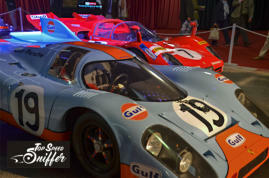 Featured were items from three different iconic movies plus a selection of vehicles personally owned by McQueen himself. 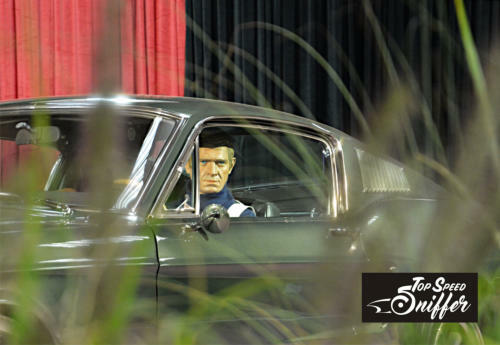 50 years after the release of „Bullit“, the legendary 1968 Dodge Charger R/T (one of two original cars that were used in the movie) and the Ford Mustang Bullitt GT390 are together on show again. 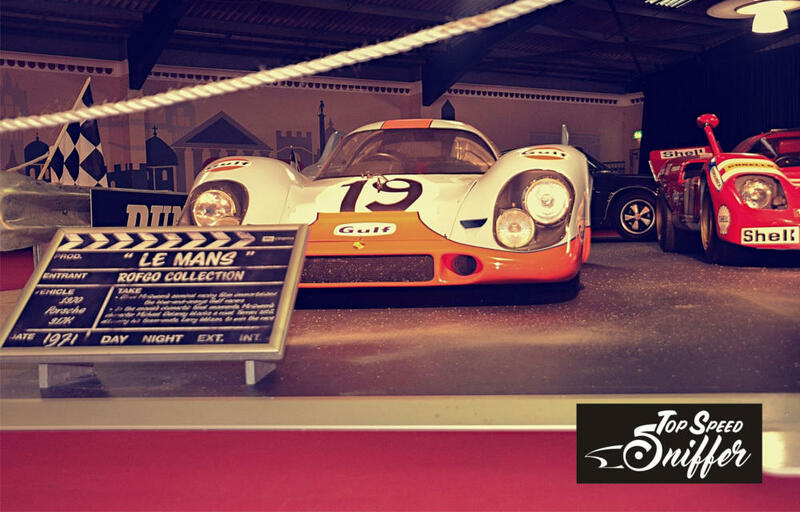 From the movie „LeMans“, there were the Gulf liveried Porsche 917 of Michael Delaney (McQueen) and the Ferrari 512S of his rival Erich Stahler (Siegfried Rauch), as well as the green Porsche 911S which served as his private road car. 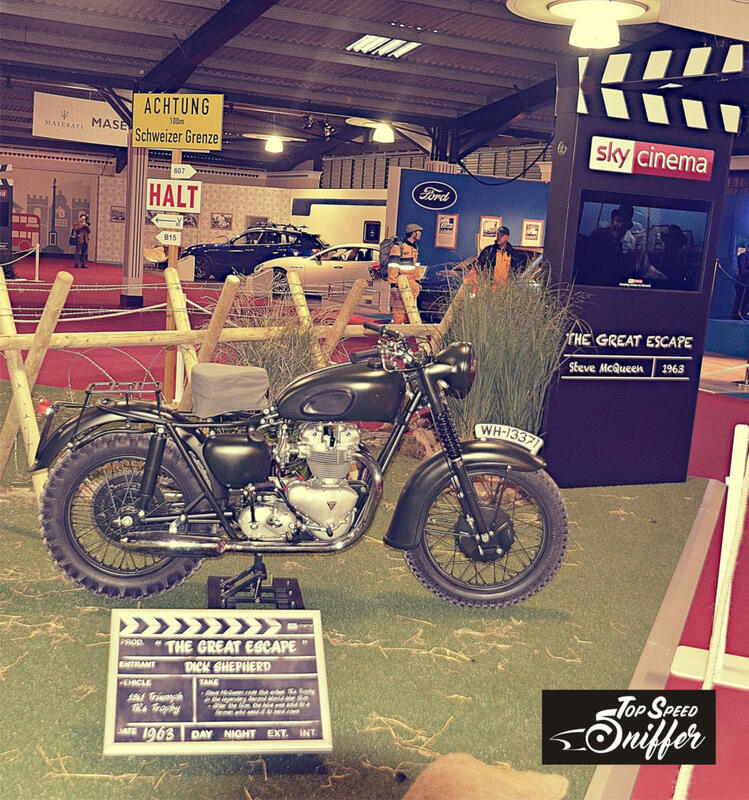 From „the Great Escape“, his Triumph TR6 Trophy was shown together with several german WWII trucks and bikes. 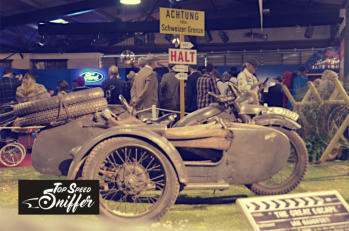 To complete the exhibition, a unique collection of cars owned by the man himself was on show: a Mercedes 300SL Roadster, a Porsche 356 speedster, a Mini Cooper S MkII and his 1955 Jaguar XKSS. 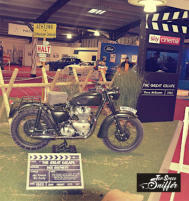 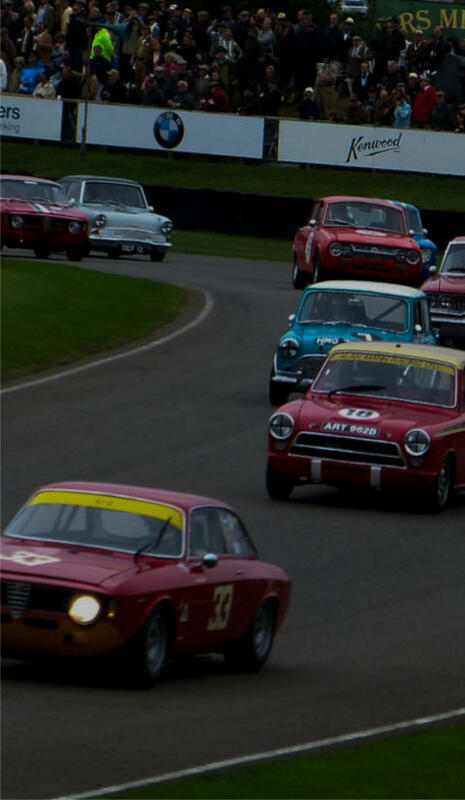 This years Earls Court Motorshow was a gem - one of the many pieces of the puzzle that make the Goodwood Revival so unique!